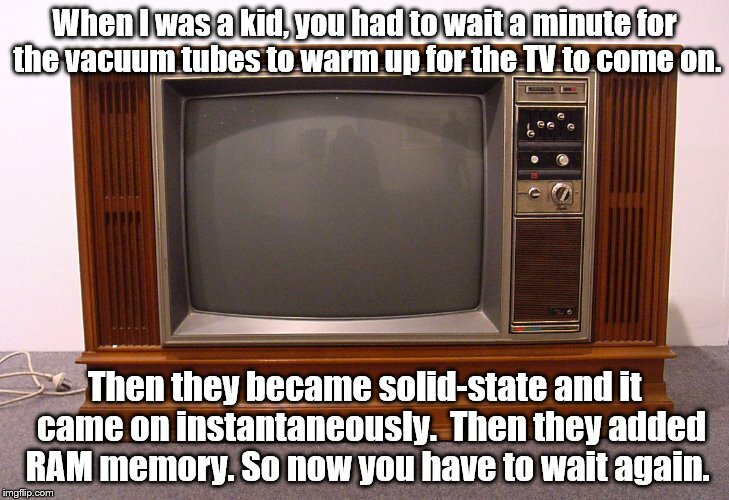 When I was a kid, you had to wait a minute for the vacuum tubes to warm up for the TV to come on. Then they became solid-state and it came on instantaneously. Then they added RAM memory. So now you have to wait again.